There are three old-fashioned fruit cake recipes from community cookbooks in this post. Preheat oven to 300ºF. Line springform pan with greased brown paper. 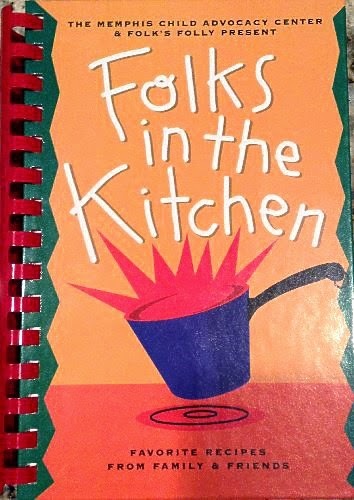 Robert Q. contributed his grandmother's recipe above to the Memphis Child Advocacy Center and Folk's Folly, Folks in the Kitchen: Favorite Recipes From Family & Friends (Adamsville: Keepsake Cookbooks, 1996), 236. Chop nuts and fruit into medium-sized pieces. Sprinkle with 1/4 cup of the flour; set aside. Cream butter and sugar until fluffy; add well-beaten eggs and blend. Sift remaining flour and baking powder together and fold into creamed mixture. Add lemon and vanilla extracts and fruit and nuts, mixing well. 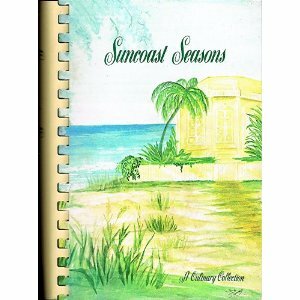 Estelle S. contributed the preceding recipe to Dunedin Youth Guild, Inc, Suncoast Seasons: A Culinary Collection (Orlando: Moran Printing Company, 1984), 325. Georgine says the following Old-Fashioned White Fruit Cake is is an old family recipe from a friend and the recipe is reputed to be from the 1800s. At least 30 days before serving, and in an extra large bowl, cream butter and sugar well. Add eggs, 3 at a time, then gradually add 4 cups of the flour. In a large bowl, toss fruits, nuts, dates and raisins with the remaining 1/2 cup flour; add to batter, mixing well. Bake at 275ºF in 1 (10-inch) tube pan for 2.5 hours and 1 (9- x 5- x 3-inch) loaf pan for 1.5 hours. The recipe above slightly adapts Dunedin Youth Guild, Inc, Suncoast Seasons: A Culinary Collection (Orlando: Moran Printing Company, 1984), 326.